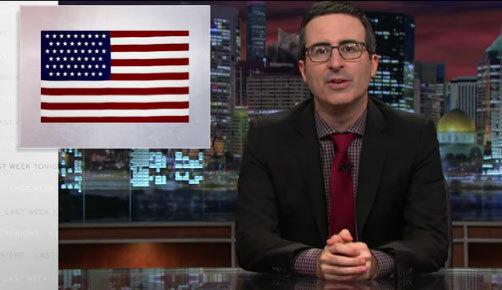 Tickets go on sale this week for John Oliver's August shows at the Kennedy Center. Now, John Oliver takes his stand-up show to the Kennedy Center Concert Hall stage for the first time with three consecutive shows from Thursday, Aug. 25 to Saturday, Aug. 27, each at 7 p.m.
Tickets start at $59 and go on sale to Kennedy Center Members on Thursday, Feb. 18. They go on sale to the general public on Friday, Feb. 19. Oliver is an Emmy-winning writer whose HBO show presents a satirical look at the week in news, politics and current events to an audience averaging more than four million viewers weekly. The show started its third season in February, but during occasional breaks from the TV desk, Oliver returns to his first love of stand-up and performs at sold-out venues around the world. Tickets will be available for purchase at the Kennedy Center Box Office, by calling InstantCharge at (202) 467-4600, or through the Kennedy Center website at www.kennedy-center.org.